The Chartall LMS makes online study easy. 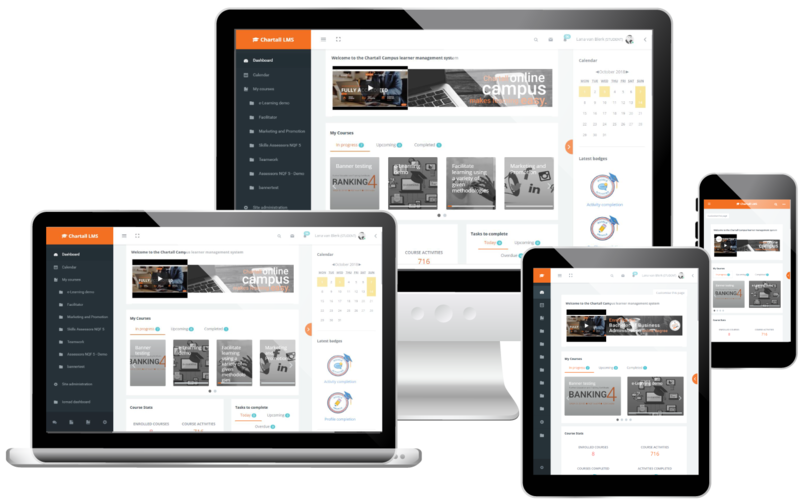 Chartall Business College has its own Learning Management System (LMS) which has been built on the internationally developed and widely used Moodle LMS platform. 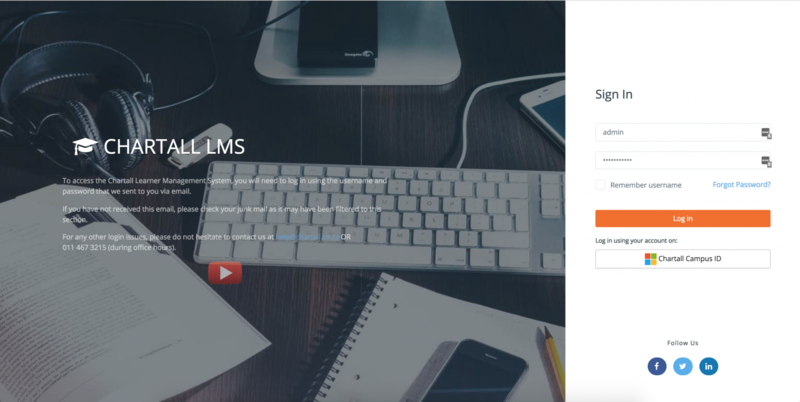 Online tutorial to walk you through the LMS when you first log on. 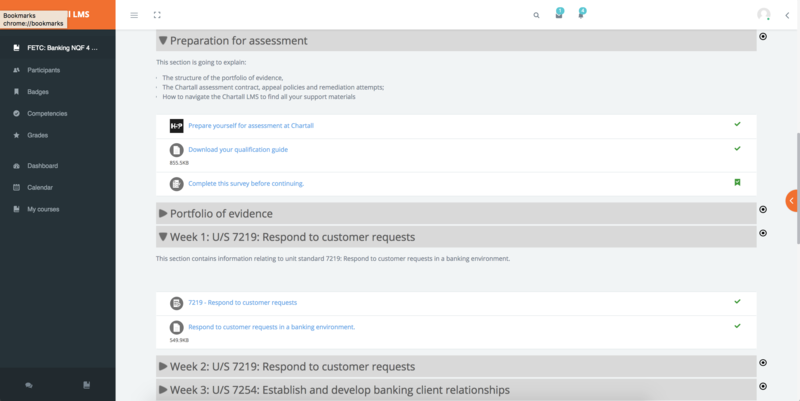 Once you log into the LMS you can easily use the dashboard and menu features to find your course and get started straight away. 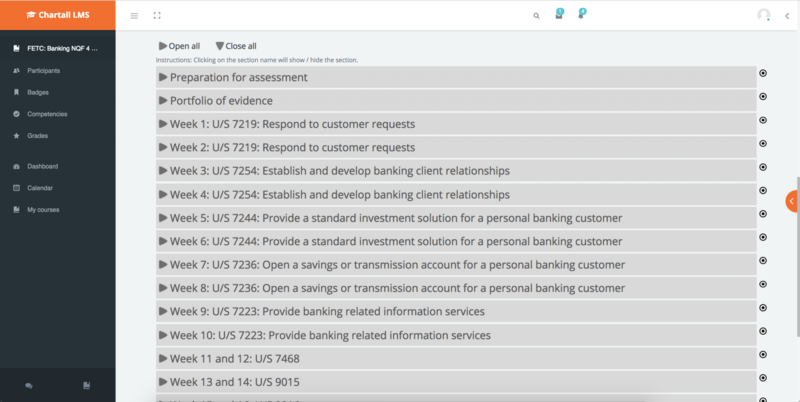 …and its curated into weeks or modules to help you stay on track. You can work ahead or binge your weeks’ worth of learning on a single day. Its flexible and you control the pace. Each week or module is made up of different learning bytes – to appeal to different learning styles. There will be articles, videos, podcasts, e-books, URLs, e-learning lessons and quizzes and projects. All designed to come together to help you learn more effectively. 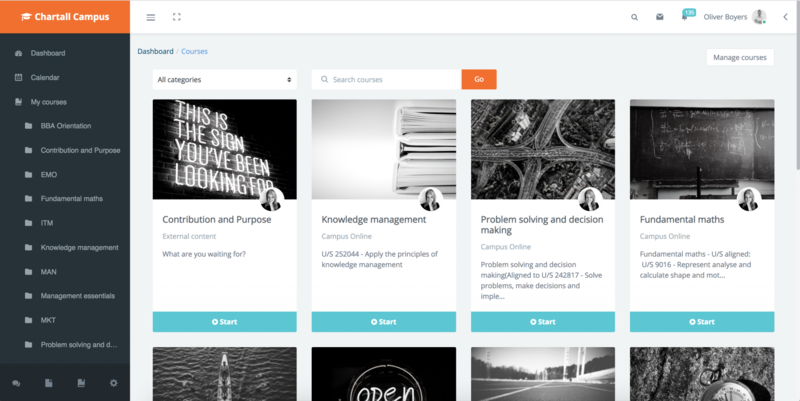 Each online course has its own online facilitator or coach. 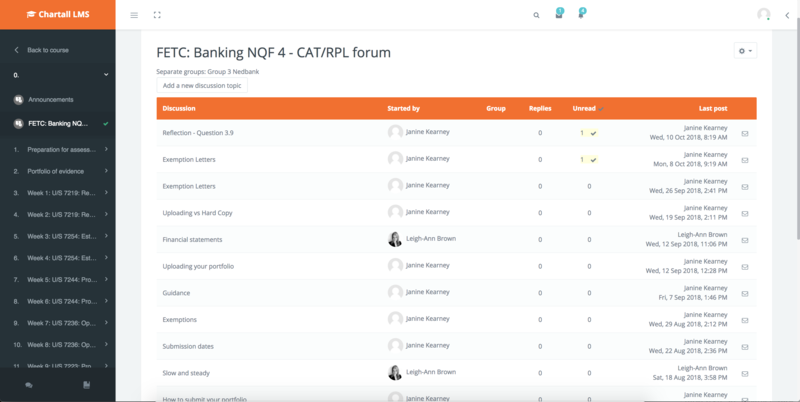 They track and monitor your progress, support you through the training, offer optional e-tutorials, answer questions on the discussion forum so you can learn from your peers and nag you if you fall behind. Learn on your PC, tablet or smartphone – any time, any place, any space. 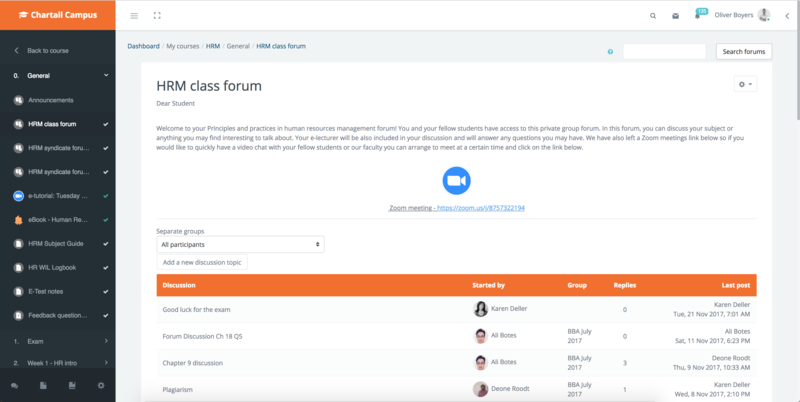 Our online e-lecture platform, Zoom, is accessed from within the LMS. And all sessions are recorded so that you can watch them over and over or catch up if you missed an online session.